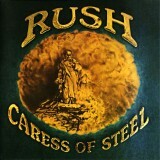 Canadian graphic artist, Hugh Syme is best known for his artwork and cover concepts for rock and metal bands, notably responsible for all of Rush‘s album cover art since 1975’s Caress of Steel. He is also a musician and has appeared in some Rush songs as a keyboard player. 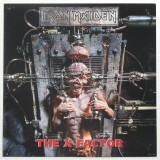 Iron Maiden fans remember him best as the designer of The X Factor cover, which shows the band’s mascot Eddie the Head dissected. In some countries the cover was considered so gruesome that a less gory alternative was offered. 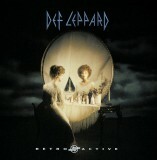 Def Leppard’s Retro Active album cover, which he co-designed with Nels Israelson, shows a lady sitting at a dressing table, looking in a mirror. From another perspective, it takes the form of a skull. It was inspired by Charles Allan Gilbert’s most famous work, All Is Vanity (1892). Other bands Syme has done artwork for include: Megadeth, Saga, Styx, Altered State, Fates Warning, Whitesnake, Aerosmith, and Dream Theater.